French Hill is the 22nd Member of Congress to represent central Arkansas in the U.S. House of Representatives. A ninth generation Arkansan, he was elected on November 4, 2014, and began his first congressional term on January 3, 2015. He serves on the U.S. House Committee on Financial Services. Join Congressman Hill, for a live, telephone town hall meeting on December 14th at 3:00pm to discuss important issues facing our district and our country. 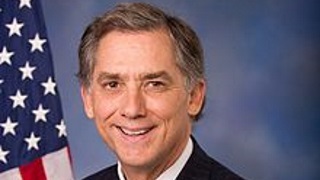 Congressman Hill wants to hear from you and get your feedback. Please, sign up here to register and receive a call for his next telephone townhall - you'll be able to listen in and ask questions from the comfort of your own home! Congressman Hill is looking forward to speaking with you!